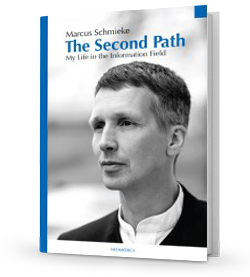 Marcus Schmieke, born in Oldenburg in 1966, is with his numerous books a pioneer of Vedic architecture in Europe and the founder of Vasati. In 1996 he founded the Vedic Academy, an institute for the integration of science and spirituality, whose research and teaching is mainly concentrated on Vasati, Ayurveda, Sanskrit and Vedic astrology (Jyotish). He is also the author of the Astrology and Vasati correspondence course material. Sacinandana Swami is a monk of the Bhakti tradition. 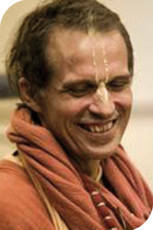 He is known for his contributions to the practice of meditation and contemplation of modern Bhakti practitioners. Sacinandana Swami has published seven books and offers retreats and workshops on the “Vedic Way”, the “Inner Space”, mantra meditation and kirtan worldwide. In 2009 he founded the Yoga Is Music Project and since then teaches at the Institute for Higher Education in Vrindavan (VIHE), India. He is a guest lecturer at Bhaktivedanta College in Belgium and the spiritual mentor of the Vedic Academy, where he gives seminars and lectures on Vedic spirituality. More about Sacinandana Swami on his website www.saranagati.net. Born in Croatia on May 1, 1977, she began searching for a deeper understanding of life and human destiny while still at school. Her search led her to live for several years in Hindu temples, where she intensively studied the Vedic (Bhakti) scriptures and above all exercised spiritual practice in everyday life. She has been practicing Bhakti Yoga and Mantra Meditation since 1994. Her desire for synthesis between spiritual life alignment and the material concerns of this world has led her to study Vedic Astrology in recent years. 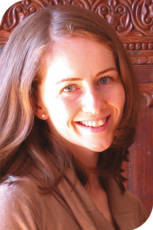 She graduated from the Vedic Academy in 2003 and from Florida Vedic College, USA, in 2005. 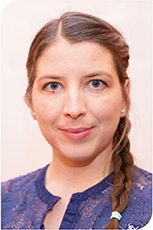 Since 2006 she has been working full-time as a consultant and lecturer in Vedic Astrology. 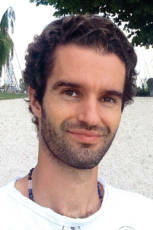 Born in Stuttgart in 1983, Devadas began meditating at the age of ten and has been interested in naturopathy since his youth. After his high school graduation (2003) he came into contact with the Bhakti Yoga Way, which touched him deeply and shaped his life from then on. He then lived for two years in Krishna temples and made five pilgrimage and study trips to India. In 2006 Devadas successfully completed the distance learning of Ayurveda at the Vedic Academy under the direction of Reinhart Schacker and completed an Ayurvedic internship in India. In the following years he carried out Ayurveda health consultations as well as Ayurveda seminars, completed further training as a yoga teacher (2009), meditation teacher (2010) and certified psychological Ayurveda consultant (2012) and was able to deepen his knowledge in this way. 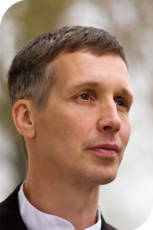 Since January 2010 he is in charge of the Ayurveda correspondence courses at the Vedic Academy. A passionate mantra musician, Devadas has released several CDs to date. 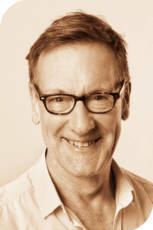 He is also the author of one book and now successfully gives various yoga and mantra seminars. It is very important for him to live his vocation. Born on May 8th, 1957 in Andernach am Rhein. 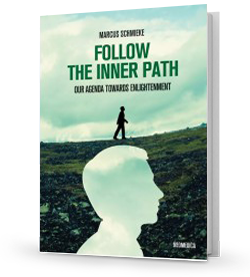 During his youth, the spiritual-religious background of his family led him on the search for a transcendent reality beside the material existence of earthly life. In 1979 he met the tradition of Bhakti Yoga and Mantra meditation, which decisively shaped his future path. Initiated in this tradition, he intensively studied the Vedic (Bhakti) scriptures. Here he found the inner development and growth. His conclusion did not lie in a withdrawn life, but in a synthesis of everyday life and spirituality. In 1988 he met Vedic astrology, which aroused great interest and enthusiasm in him. Between 2000 and 2002 he successfully completed the Vasati studies and the study of Vedic Astrology at the Vedic Academy and since 2004 he has been practicing the acquired knowledge of both areas on his own to the great satisfaction of his clients. 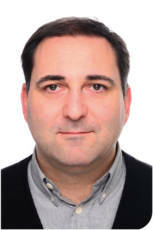 André was born in Berlin in 1972. During his time at high school he came in contact with Vedic knowledge, and the Sanskrit language, and was immediately fascinated by it. He began to explore the Sanskrit scriptures on his own and started to learn the language. During his biology studies, he used the opportunity to learn Sanskrit in a structured way at the Humboldt University in Berlin. Thus he found his passion – Sanskrit poetry, with its verses and wordplay, which still continues to fulfil him today. Previously he taught Sanskrit in private lessons. He lives and works in Berlin, but really feels at home in Tirunarayanapuram in southern India with its Sanskrit Academy and School, and in Hyderabad, where he continues to deepen his Sanskrit knowledge at the Jeeyar Educational Trust. Katarina Schmieke was born in Spisska Nova Ves in Slovakia and attended high school there. Originally intending to study philosophy, she decided to study spiritual Vedic culture and the Indian temple dance Bharatanatyam, which led her to several extended study and pilgrimage trips to India. She first learned the Indian temple dance from the famous South Indian master Yamuna Krishnan in Delhi and later continued her training with the Berlin-based teacher Rajyashree Ramesh. In the last 20 years Katarina has performed numerous solo performances as well as with her teacher, e.g. at the Indian Embassy in Berlin, at the opening of the Hannover Fair or in a show by Nina Hagen in Berlin. She has managed the publishing and shipping department of the Vedic Academy since 2002. 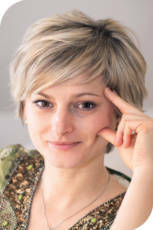 Katarina is the mother of two children and has lived at Schloss Kränzlin since 2010. Petra Fischer originally comes from Cheb in the Czech Republic and studied German and English for her teaching profession there. Besides some translations from German and English into Czech, she was co-founder of a publishing house for spiritual books. She has made numerous study and pilgrimage trips to India and has been intensively involved with Vedic spirituality and culture for more than twenty years. Besides her work in the Vedic shop, where she is mainly responsible for customer care and order processing, she is the mother of two children and a turtle. 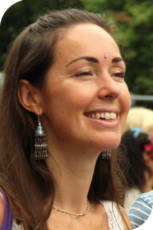 Born in 1980 in the Netherlands, she is the second youngest member of our Vedic Academy team. After 4 years on a personal journey through Australia, where she completed numerous workshops and seminars on the subject of self-discovery and a holistic spiritual way of life, she organised and led transformation events on her own. She helped individuals and groups to gain deeper insights into the psyche and the self. Since her private life has led her to Germany, we are very happy that she finally enriches our local team. She is responsible for all practical activities related to shipping and ultimately customer satisfaction.